Walk the steps of the 14,000 soldiers who died in just a few hours almost 500 years ago. King James IV was the last Scottish monarch to die in combat there. 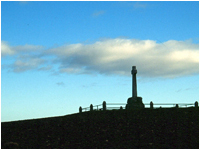 Free and open access to the battlefield site throughout the year. We can lay claim to our very own “Stonehenge”. 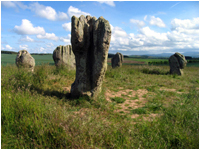 The Duddo Standing Stones are least 4500 years old. 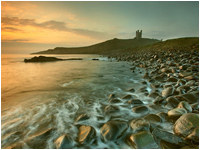 Free access throughout the year, just a walk away from our home. A 14th Century ruined fortress. The atmosphere when sitting amidst her ruins with the North sea wind howling above and around you is quite evocative and mysterious. There is also a Golf course only a walk away for lovers of the sport! 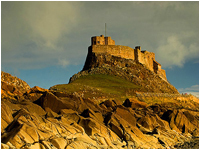 Visit English Heritage website to find out more. 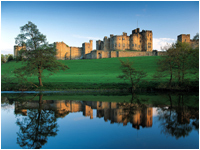 The home of the Duke and Duchess of Northumberland needs no introduction, aka the “home” of J K Rowling’s Harry Potter. The Castle invites visitors from the end of March 2012 including the Gardens. A truly magnificent part of our heritage.